Have you ever wondered what the professionals at your investment management firm can do for you and your family? 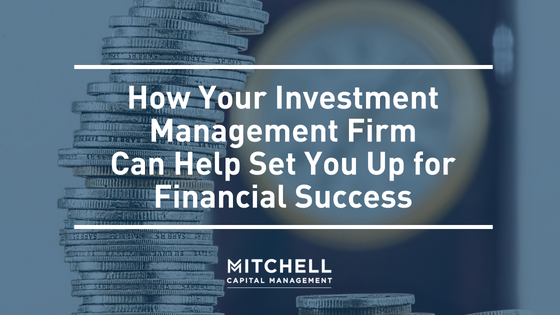 Take advantage of the background and knowledge base of your investment adviser and explore the various services that are covered in your management fee. An experienced professional can provide you with financial direction and support throughout the many stages of your family’s life. An investment engineer will sit down with you and get to know your family’s goals. An adviser can help to determine realistic objectives, formalize your goals and put them in writing. An investment professional also investigates possible alternatives and suggests solutions to meet your goals. An experienced financial adviser can assist in the transition from goals to strategy. A personal investment analysis will be provided for you along with a financial plan and/or investment strategy. Utilizing unbiased investment research, a professional financial adviser can help to consolidate and simplify your investments. He or she can help you prioritize your financial opportunities and reposition your investments to potentially take advantage of tax breaks. Your financial planner can also assist with the continuity of your family’s financial plan through generations. It’s your money and your future so of course you will also have access to your accounts online. The environment often changes in the investment world and it’s your financial adviser’s job to keep up-to-date on the details regarding these shifts. Your experienced professional will monitor your investments and remain knowledgeable about adjustments. He or she serves as a database for financial news and a resource to help simplify financial terms and themes. An experienced investment engineer proactively keeps in touch and monitors the changes in you and your family’s life. He or she will take the time to remain connected and communicative and will check in with you such as chatting with you before the end of the year to identify any last minute financial planning needs. Your professional financial adviser cares about you and your finances. Your investment engineer can help guide you to think about areas of your financial life that you might not have given much thought. Consider your experienced professional as a source of information for not only your finances but also for help with referrals to other professionals such as attorneys or accountants. A trusted financial professional can help structure a solid foundation for your financial future. If you need advice regarding your investments, reach out to your investment professional.